Quora Question: Does the Major Scale Formula Work with Sharp Notes? 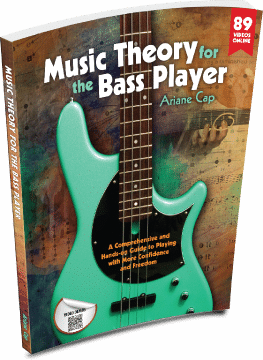 Home / Bass Bits for the Brave / Quora Question: Does the Major Scale Formula Work with Sharp Notes? When I see questions like this I love to jump in. There is someone trying to piece it together on their own, typically using some bits of music theory that help somewhat but are not the complete picture. Probably this person had heard of WWHWWWH. But then, yes, the question arises – how to name the notes? With sharps? With flats? Read my reply. This is why we have the cycle of fifths, by the way. It takes all that guess work out for you. Does the major scale formula work with sharp notes? I’ve tried this with A# and the scale I get is: A#, C, D, D#, F, G, A, and A# Is this right or wrong? If so, how? Any help would be much appreciated.